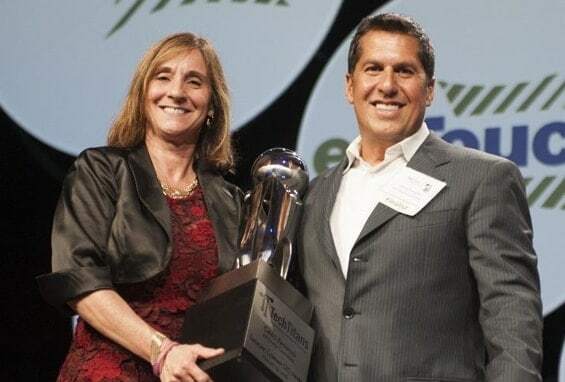 DALLAS, Texas, August 22, 2016 – ENTOUCH, the market leader of facility asset and energy intelligence, announced today Greg Fasullo wins award for Tech Titans Emerging Company CEO after company ranks number 11 on the Fast Tech list for high performance at the Tech Titans Awards Gala on August 19. The Tech Titans Award for Emerging Company CEO recognizes the CEO of a technology company headquartered in the DFW Metroplex with operating revenues of at least $2 million who has demonstrated leadership, vision, commitment and involvement with quantifiable company-wide success and a measurable impact on the technology industry. The Tech Titans Fast Tech list represents high growth companies within the technology sector in North Texas. ENTOUCH is a technology company that leverages facility asset and energy intelligence solutions to accurately assess and control energy consumption and expenditure. The company’s award winning ENTOUCH 360™ platform provides a dedicated team of energy experts who utilize leading-edge software, best-in-class hardware and predictive or “targeted” analytics to improve operational efficiencies, significantly reduce energy consumption and maximize energy savings. Nationally recognized for its ongoing commitment to sustainability and innovative internet of things (IoT) approach, ENTOUCH supports over 4000 locations in diverse industries including retail, restaurant, grocery, commercial real estate, healthcare and hospitality. For further information, please contact Samantha Foley at samantha.foley@entouchcontrols.com or 214.263.3547.